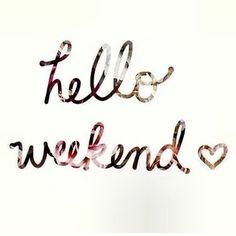 Happy happy Friday everyone! I am extra excited to see this weekend, because my brother in law is getting married tomorrow! After a rough few weeks of adjusting to a new baby and having Mike off working on the house nearly every day, I am just a little excited to unwind, enjoy a few adult beverages, and spend the night at the hotel while the kiddos are with my parents. All I can say is this mama needs a night out! I had a dress picked for the wedding, but after trying it with multiple bras and considering I need to wear bra pads due to nursing and unpredictable business happening, I just couldn’t make it work. With that being said, if anyone is interested in buying it, I purchased it for $64 here If anyone would be interested in it for $48, let me know! I missed the return window, BOO. Shoot me an email if you are interested! Once I realized that dress was not working, Nordstrom saved the day with their quick and free shipping and I scooped this one up on sale. I love the soft yellow color that I went with (sold out now) but this pink color is so pretty, too! I plan to add a chunky necklace and pretty belt to dress it up! And, it is totally nursing and pumping friendly! I am seriously all about ON boyfriend shorts this year. On one of their recent sales, I got these and another pair for less than $14. TOTAL. Probably one of the best deals ever, and they are so cute and comfy, and best of all mom appropriate without looking like mom shorts. Win. Ice cream dates. Last week me and my little hunny snuck out for a lunch date, just the two of us. 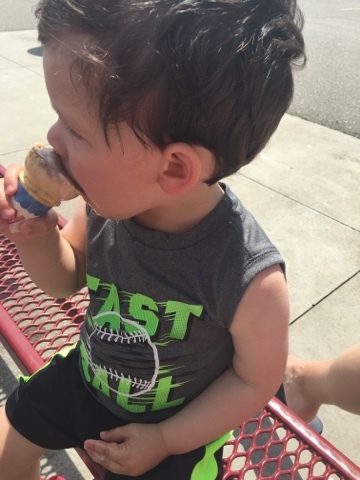 He liked his hot dog and chips, but let me tell you this mama asked for a taste of ice cream at least ten times, and it was NOT happening. 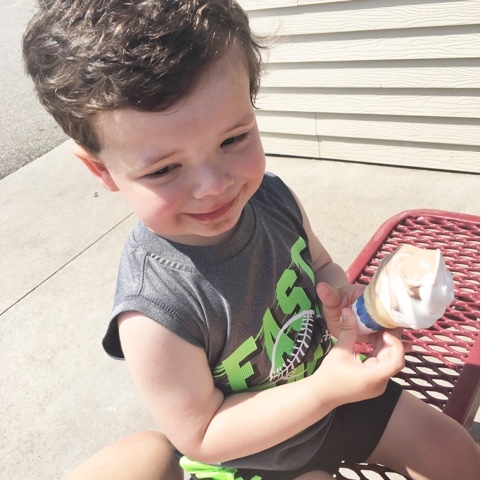 This guy inherited his mama’s sweet tooth. For sure. Flip or flop. 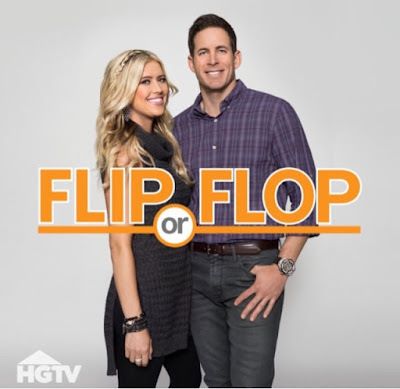 Ok, I’m not necessarily the biggest fan of the couple, particularly Christina, but I LOVE seeing the profits they make on their flips. I would never have the guts to flip a house myself, but I find it so fascinating to watch others and see how they do it! 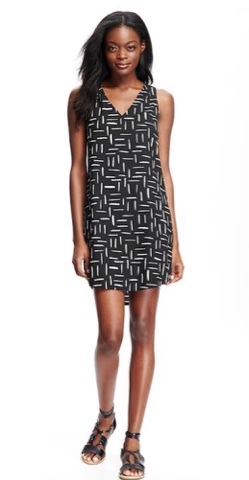 Once again an Old Navy find, how cute is this dress?! I love the pattern, and think this would be adorable with a jacket or cardigan for work, or with some cute sandals for a summer day off. Maybe I should just buy up their whole store, it would save me so much time! Anddd with that I am off to enjoy a wedding weekend! See you all next week for a recap! I looooove ON boyfriend shorts too!! I buy a new pair every year just to make sure I have them! So sorry to hear that dress didn't work out! But love the new one you picked also. Adorable! Love those dresses! I'd be interested in taking the one off your hands. Just curious on size before I say yes! I shot you an email Erin!